The Cartier Ronde Solo Women’s Watch W6700355 is an ideal watch for the serious woman who wants a serious designer watch. The Ronde Solo doesn’t rely on diamonds or minimalist design to convey its elegance. Instead it uses a body of gold, a dial of silver and a full display of markers to express its superiority in class. The stark colors and gold frame make for a bold appearance. The Ronde Solo has a full index of Roman numeral markers around the outer edge and a second inner circle of 13 – 24 hour markers. 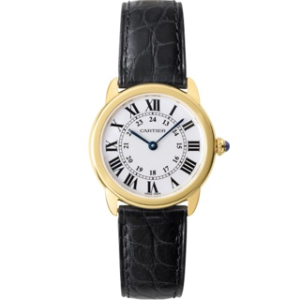 The Roman numerals already run full circle around the dial so the addition of the 24-hour notation is more likely for presentation rather than practicality. Be that as it may, the additional markers further emphasize time keeping with continental time. The opaline silver dial is host to a pair of blue sword shaped hands for tracking the hours and minutes. 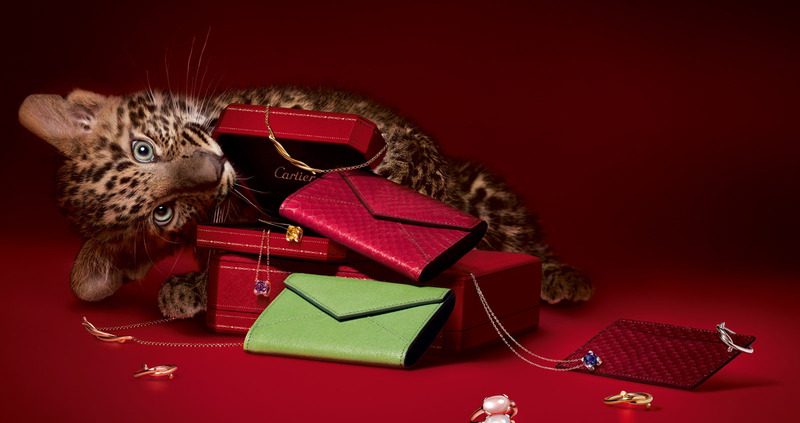 The watch case and clasp are made of 18-karat goldwhich is polished to radiant shine. The W6700355 takes a thorough approach to time keeping. The Ronde Solo is powered by a Cartier Calibre 690 quartz battery which is protected by a screw down case made of stainless steel and gold. The dial is encased by a sapphire crystal plating which is water resistant up to 30 Meters. The bracelet is made from authentic crocodile leather, dyed black for an accentuating appearance against the gold frame. However, neither the strap nor case is designed for prolonged exposure to water, so be extra sure that the 18k gold buckle is securely fastened when sailing on your luxury yacht. As a final detail to this already outstanding watch, the crown piece is also crafted from 18k gold and is set with a sapphire spinel cabochon to add complexity to its flair. 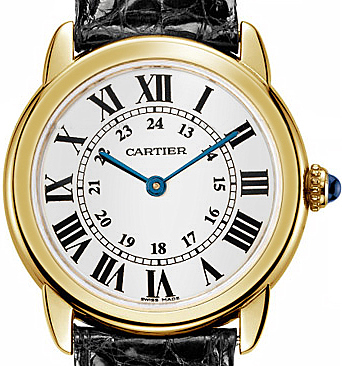 The Cartier Ronde Solo W6700355 is an extensively stylish watch. Even though it has been designed and sized as a women’s watch, the appearance and style are flexible enough to consider this as a unisex timepiece. For the retail price of $4,500, there is no reason that such a refined timepiece shouldn’t be available to anyone.